Tuesday, November 21st, the Marionville Comets came down to Pierce City in a regular season match-up against the Pierce City Boys Basketball team. The Eagles started off not playing very well, however, they bounced back and at halftime they were up by 4 points. The final score was 47-42 in Pierce City’s favor. Hunter Tindell lead the charge with 22 points followed by Aaron Garner with 11. Monday, November 27th the Boy’s Basketball team hosted Greenwood. Pierce City took advantage of Greenwood’s slow start by going up 10-0 in the first few minutes and never looked back. At half Pierce City was up by 18, and the final score was 65-38. 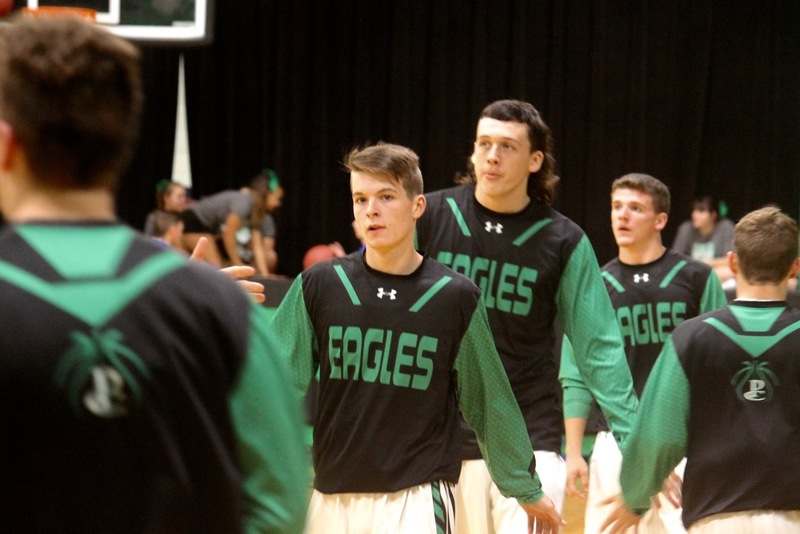 The scoring was very balanced on the Eagles side as Hunter Hatfield lead the scoring with 13 points followed by Hunter Tindell and Aaron Garner with 12 and Donell Kleiboeker with 11. Pierce City will host Verona on Thursday at 6 p.m. in the semi-final of the Pierce City Invitational.